I’d given up on that phone call years ago. Subconsciously, I just knew it wasn’t a good idea. I’d ruined my body for having my own babies, why would anyone else trust me with theirs? “Well, nothing is wrong, don’t worry. In fact, it’s not that big of a deal. Well, it’s a big deal, but…”. “Now I’m really curious,” I urged her on with a laugh. What on earth could tie her tongue and yet still be so important as to warrant a phone call in the middle of her daughters’ bath time? She paused. My heart hit the floor and took wings all at the same time. Giddiness washed over me. Me? They chose me—my husband and me? Not so many years ago, I would have been a terrible choice to take care of my nieces if something happened to their parents. 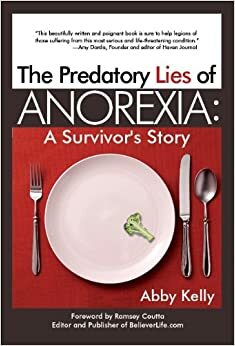 In the throes of a longterm battle with anorexia, it wasn’t a stretch to wonder if I might not live to see them reach high school. I let my mind follow that line of thinking. Not so many years ago, my sister and her husband might have feared that living with me would warp their girls’ body image. They might wonder if I’d feed them well, tend to their precious bodies or teach them how to fully embrace all of life outside the numbers by which society measures happiness. Or they might have been concerned that I wasn’t mentally present enough to assume responsibility for their little girls. What if I fell asleep at the wheel driving to gymnastics? What if I was re-admitted to a treatment center—what would happen to the girls then? My sister still waited on the phone; slowly my mind resurfaced and collected itself. I tried to control the waver in my voice and suggest following the proper protocol. “Of course, I’ll talk to Patrick and we’ll pray about it. I’ll get back to you as soon as I can. But I have to ask one question—why did you pick us? My sister and her husband have done a remarkable job instilling the love of Jesus in the hearts of their little girls. A passion for Christ at the center of all things is the desire of their hearts, the defining trait they want for the home where their children mature. Oh the joy, the sheer magnificence of a healing God! He healed me and allows me to experience abundant life, unhindered joy, Christ-filling. He redeemed the years, redeemed my reputation, redeemed my identity. To be known as one whose mind, heart and home is consumed with Christ, is a greater honor than I can explain. To know that the old is so far gone, so far has He removed my sin from me, and the new has come—there are no sufficient words. Please don’t be put off or allow this to be seen as a morbid story, considering the loss of my sister and her husband. Rather, I believe her call, their question was meant first and foremost as God’s testimony to me, of me, that He makes all things new.